It is fantastic to see national headline news picking up stories about foot fitness and the benefits of barefoot exercise! One of Christopher McDougall’s comments in this video clip is that he was searching for anything that might help him reduce injuries and keep on running. With a closet full of shoes that just wasn’t helping him avoid the heel pain, Achilles pain, and arch pain he was challenged with, the medical advice he received was stop running. Good advice, but not ever what somebody wants to hear if it involves giving up something that we love to do that’s supposed to be good for us. For Christopher McDougall author of Born to Run , he realized that, “Shoes are the Devil,” and learning barefoot running techniques has helped keep him on the road and injury-free. Watch the interview on this CNN video clip. Barefoot ultrarunner Christopher McDougall explains his inspiration for barefoot running, injury prevention, and the benefits of running without shoes. Not everyone has the drive or desire to run ultra marathons barefoot to retrain the feet for better health. But there are many other great exercises and activities that can be done without shoes to help improve both foot fitness and whole body health. Pilates exercises on the Reformer, Trapeze Table, and Wunda Chair help to stretch and strengthen the feet through a full range of motion against spring resistance in non-weight bearing to full body weight positions. 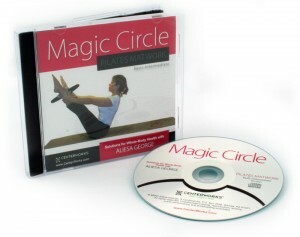 Excellent for retraining the body’s muscle and joint systems to function optimally. 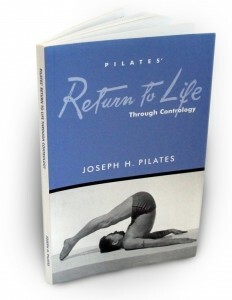 Joseph Pilates also created two pieces of apparatus specifically for exercising the feet – the Toe Tensometer, and the Foot Corrector. Yoga is another great wellness program to utilize, stretch, strengthen, and realign the body in it’s natural barefoot state of being. A sense of grounding, balance, grace, flexibility, and total body awareness and control can be achieved during a Yoga practice to increase fitness and decrease risk of injury. Dance another fun option for fancy footwork! Different forms of dance require shoes, or no shoes. Modern Dance, Belly Dance, and Tribal Dance forms are all practiced with bare feet. Being able to hop, skip, jump and move with grace and rhythm is fantastic for foot strengthening. Foot Exercises. 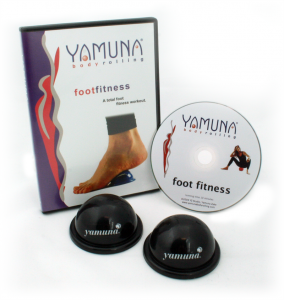 If you don’t feel like taking up a new sport or recreational activity just to help your bare feet get a better workout… there are specific and targeted foot fitness exercises for healthy feet, ankles, arches, and toes that you can quickly and easily incorporate into your current lifestyle and wellness program to help you keep your feet fit and healthy! 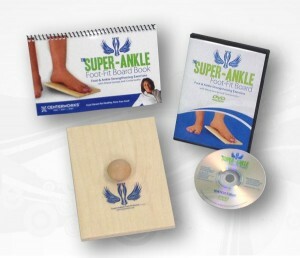 As a high school athlete and gymnast, I was diagnosed with degenerative arthritis in my ankles. The challenge….every step I took HURT (a lot!) I was rubbing bone on bone at the tender age of 16 and wondering if I was going to be in a wheelchair by 30. After a year of nothing but exercising in the pool, where I wasn’t pounding on my feet, I managed to head off to college pain-free to complete my degree in Modern Dance! 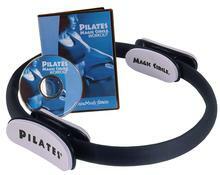 Which then led me to my career as a Pilates Teacher! Hmmmm… two of the three great exercise options listed above. Now, almost 30 years later…. 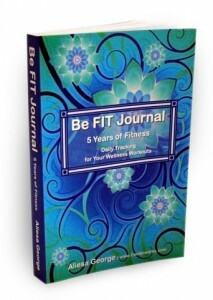 I continue to walk and run 2-4 miles a couple of times a week, completely pain-free! 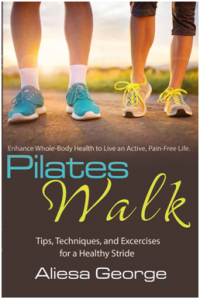 Knowing that my clients plagued with foot problems needed some easy exercises they could learn and do at home, I wrote the book Fantastic Feet! Exercises to Strengthen the Ankles, Arches, and Toes. 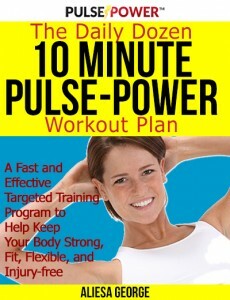 This book is filled with many simple and quick exercises that I found beneficial for my own foot pain recovery program. 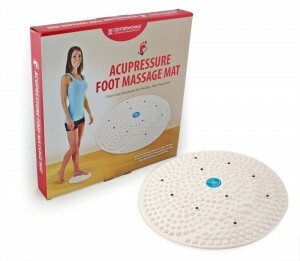 There are also a few other nifty foot-care products available that can add great value to your Pilates program, Yoga practice, Dance career, Walking, or Running Program. 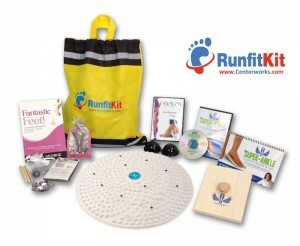 Whether you’re a recreational fitness jogger, 5K or 10K runner, marathon, or ultra-marathon runner, AND whether you opt to wear shoes or run barefoot – the Fantastic Feet exercises and foot fitness products available at Centerworks are worth adding to your gym bag and incorporating into your weekly workout routine for healthy and happy feet. It’s time to stand up and listen to your soles! Generally speaking, all we do with our feet is shove them in a pair of shoes and head out the door. Time spent exercising the feet barefoot can make a big difference to improve your health! When was the last time you tip-toed through the tulips, walked barefoot on the beach, or actively did exercises barefoot to help keep your body fit and injury-free? 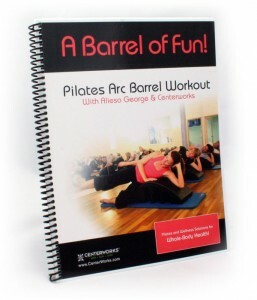 Try barefoot fitness and comment on your experience! Would you recommend barefoot exercise? What do you dislike about exercising without shoes? What do you like about being barefoot for fitness? 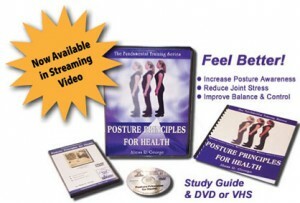 How has exercising without shoes benefited your health? Love to hear your comments! Posted by Aliesa George in Dance, Exercise and Fitness, Foot Care & Foot Fitness, Health, Pilates and tagged Barefoot Running, Christopher McDougall, Feet Health, Foot Fitness, Foot Health, Foot Pain, foot problems.